Google's New Search Interface - We've Seen this Before? The new search interface Google had been testing in beta since last fall has finally been released. My initial thoughts were that, "hey haven't we seen this before". What came to mind was ASK.com's "ASK 3-D" search results page interface/experience from about three years ago, and then I thought that where else have I seen this before and Bing came to mind. Seems to me like I'm not the only one who sees the similarities as well. our focus is on search and because it makes our clean, minimalist homepage even easier and more fun to use. If I remember correctly Marissa Mayer also made reference to the Google Search interface when she participated in one of our Webinars on 2010: The Future of Search by Leading Experts webinar over at Enquiro. It is nice to see that Google is finally changing it up a little with their search interface. I've always stated that I felt Google has lacked in this area, but then again it has been one of their most distinguishing factors when compared to some of the other main search engines. 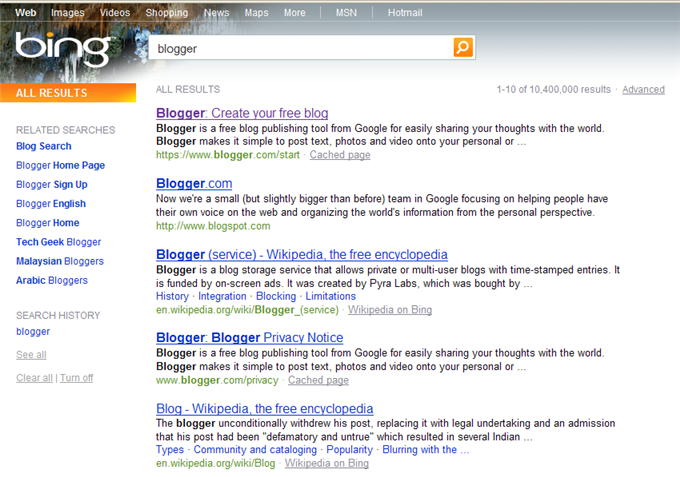 Here's a comparison of a Bing, ASK and new Google results page based on a search for "blogger". If it wasn't for the high number of sponsored ads appearing at the top of the page with ASK's results that SERP would probably be my preference, but alas a search results page is not just about aesthetics, it is about relevant results and the ability to find timely, informative information. 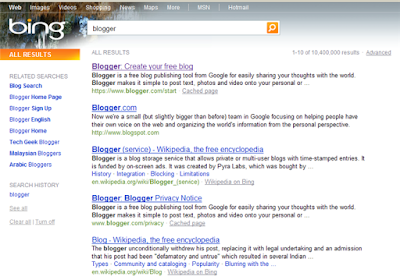 So while not exact, we are seeing similarities in how the search results appear for a few of the major search engines. The past three years has in fact seen some drastic changes to the SERPs as we had known them pre-2007 as things like universal (blended) search, personalization and real-time search results are now occupying the real estate that previously only saw the ten blue links that we were accustomed to seeing. As a user that is pretty cool because frankly I like to see a more visual results representation within the search results of a given search engine. I, by no means, want to be overwhelmed, but I do appreciate the richer experience.